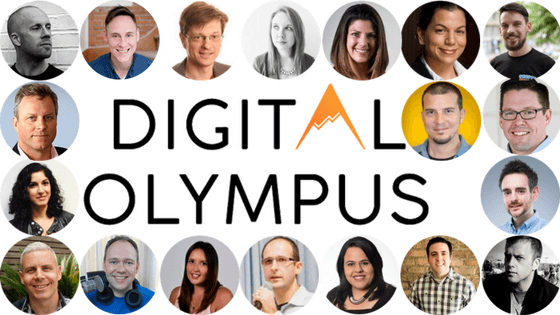 On December 6th, Digital Olympus was happy to host the Winter Edition conference where 20+ amazing digital marketers shared their top tips and tricks. Since the livestream took more than 10 hours, probably not all of you were able to join us online. That is why we decided to make our Christmas present to all the Digital Olympians: in this post, you can find the links to all the slide decks and videos, as well as major insights from the speakers. Keep on reading! 1. Conduct quantitative + qualitative research (interviews) & online surveys. 2. Do social media listening & collect psychographics. 3. Never consider a single interviewee as a model for your entire audience. 4. Always ask why users are abandoning the buying process. 5. Group the results to discover the most common pain points & expectations. 1. Use Mention to find the opportunities by monitoring posts about competitors. 2. Try Reply.io for sending automated, but personalized outbound emails. 3. Use Serpstat to come up with valuable ideas. 4. Pick only those keywords that have decent search volume. 1. SEO without strategy is like driving blindfolded. 2. Combine pure link earning with manual link building. 3. Don’t beg for the first link. Just earn it! 4. Properly done statistics + great visuals = amazing results. 5. Target the «Media Mentions» page. 1. Target your audience via PPC. 2. Once you’ve got your audience, you can channel them down the purchase funnel. 3. Audience is your Unique Marketing Point. 4. Do remarketing to upsell customers to make additional purchase. 5. Offer unique discounts for existing customers to appear in any ads they see. 1. SEO is a part of Online Marketing which includes PR. 2. Chat with your targets on the phone after initial email contact. 3. Find influencers using Buzzsumo. 4. Audit your links with Moz. 5. Be mysterious to attract links. 1. To connect your organization with buyer personas, you have content, channels and data. 2. You need to have both the tangible and the intangible resources to implement the digital marketing strategy successfully. 3. 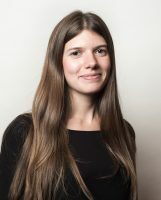 Buyer Persona Spring can help you to link your ideas to the buyer personas. 1. Number one priority of Google — «focus on user». And you HAVE TO believe in that! 2. Creating poor content will only result in a waste of time, energy & resources. 3. Show your site’s credibility by using original research, citations, links, reviews and testimonials. 4. Do SERP analysis for relevant KWs and browse web for reference materials. 5. Your content should be created primarily to give visitors a good user experience, not to rank well in search engines. 1. Keep your overall goal simple to empower individuals. 2. There is no value in just having a lot of data if you don’t know how to apply it. 3. Understand what your audience wants. Use specific tools for that. 4. Check the impact that seasonality has. 5. Understand the people you work with & how they think. 1. Work backwards from the choice. 2. Identify where choices and decisions must be made by your customer. 3. Design a journey that takes the customer from a need to a satisfactory decision with as little wasted energy as possible. 4. Provide your customers with clear instructions. 5. Accept your role as a choice architect and make your customer’s lives better! 1. Project management is a key factor in your SEO projects success. 2. Different approaches + different goals = a very big problem. 3. You need to integrate potential risks and challenges into operation and business decisions. 4. Track what your competitors do. 5. Keep an eye on the page depth . 1. Buzzsumo alerts will tell you if the coverage is missing a link. 2. Understanding where and why your competitors are featured, can create opportunities for you. 3. Monitor posts and competitions, but don’t copy. 4. Learn from the success (and failure) of your competitors and apply it to your strategy. 5. If you know the newest links your competitors have, you know what they’re targeting. 1. We’re at the dawn of the age of mobile-first SEO. 2. Your audience’s interests change by device. 3. Think about formats mobile loves. 4. A mobile-first index means a mobile-first SEO attitude. 1. Digital PR & content marketing are a good source of link building and much more than it. 2. Link acquisition is hard and it’s probably not getting any easier in 2017. 3. Identify the areas of expertise that are relevant for your brand. 4. Use quizzes for lead capture: people like testing their own knowledge and sharing if they get things right. 5. Human ego means if we’re featured in something, we’re more likely to share/link to it. 1. YouTube search ranking is NOT a key factor. 2. Post videos on trending topics and monitor competitor’s content. 3. The more you post on YouTube, the better results you get. 4. Google’s algorithms is doing all the YouTube work for you, as long as you have content. 1. For digital marketers, conversion is an end-product. 2. Visitors arriving by select, non-branded phrases are 10x more likely to convert. 3. Highly engaged customers=3x more value. 4. Having too many options may paralyse analysis. Offer to people scarcity, they love it! 5. You’re either quick in the conversion world, or you’re dead. 1. Images are the most important deciding factor when making a purchase. 2. Think about how can you use images & try to come up with a better strategy for your website. 3. Trends suggest that more and more search is being conducted through conversation. 4. Search is going more & more outside the search box. 5. If you have a life chat functionality, make a chat more detailed. Google Featured Snippets Research & How to Earn Them by A.J. Ghergich, Ghergich & Co.
1. Focus on featured snippets to gain free organic traffic. 2. Featured snippets let you earn trust and turn awareness into the decision. 3. «How» and «Have» are strong contenders to earn list featured snippets. 4. Questions are fantastic at earning paragraph snippets. 5. Prepositions are the best by far at earning lists. 1. Research influencers & top content before creating infographics. 2. The quality of your pitch determines whether the influencer answers, so make it good! 3. Email subject lines that are direct, straightforward and not too «salesy» perform the best. 4. The more influencers you reach out to and create infographics for, the more backlinks you get. 5. Promote your infographics to different influencers. 1. Google would rather show a smaller pack than a 3-pack with a business that’s too far away. 2. Proximity still drastically influencing results for geomodfied terms. 3. Non-geomodified searches can pull results from neighboring cities. The radius is around the searcher’s location. 4. Diversify your local optimization efforts beyond Google: Facebook, Yell, etc. 1. Content needs to be much more than 400-word ‘SEO articles' nowadays. 2. Use Libsyn for hosting your podcast. 3. Start a pre-recorded video show using Google Hangouts. 4. Host your own online event using one of the following tools: Google Hangouts/OptimizePress/Webinar Jam/Blab/Facebook LIVE. 1. First inbound marketing pillar is people who might be considered differently: as your team, as yourself or as your buyer. 2. Technology constitutes the second pillar of effective inbound marketing. 3. Be sure to organize your content in a proper way. 4. Don’t forget to carefully manage your customer’s journey. Hope that you got inspired by our Digital Olympus talks and found some great tips to implement in 2017! Join our next event, Digital Olympus Female Edition on February 6th and get ready for a new wave of amazing digital marketing recommendations.